QPR are changing manager again, having sacked Steve McClaren following a dismal run of results. Tim Sherwood, Gary Rowett, Mark Warburton and Michael Appleton are Rangers’ initial top candidates to take over, while others are either on the radar or keen to get themselves on it. Here’s a look at some of the candidates – and potential candidates – for the job. Director of football Les Ferdinand’s long-standing first choice for the job, Rangers have been going around in circles since a plan to install Sherwood in place of Harry Redknapp in 2015 unravelled. Fans on Twitter made their disgust clear to co-owner Tony Fernandes, with many urging him to pursue Paul Clement, who was then at Real Madrid and out of reach until at least the end of that season. During what was supposed to be an interim period, Chris Ramsey enjoyed a couple of decent results and was given the job. Jimmy Floyd Hasselbaink, Ian Holloway and McClaren have since had it without the club achieving lasting progress. Would Rangers have been worse off with Sherwood? The appointment would not be popular with many fans and would seem a case of jobs for the boys. But Sherwood, Ramsey – now technical director – and Ferdinand would point to their work bringing youngsters through at Tottenham as evidence that the original post-Redknapp plan was a sound one given QPR’s objectives. Another man previously pursued by Ferdinand. While Ferdinand was trying to prise Rowett from Birmingham, QPR’s owners were being strongly urged by figures close to Holloway during his first spell as manager to lift the gloom then hanging over the club by bringing him back to for a second spell or appointing Gareth Ainsworth. They decided they would give Holloway the job if Rowett was unobtainable, which he ultimately was. Rowett has since been sacked by Birmingham and Stoke and had a spell at Derby. Has not achieved notable success with the likes of Blackpool, Blackburn and Portsmouth but is regarded as an excellent coach and potentially successful manager whose reputation has been affected by taking jobs in troubled circumstances. 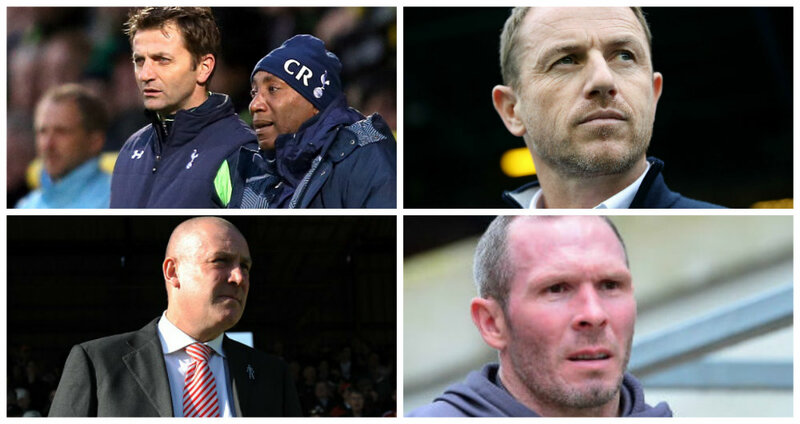 QPR want a manager with ability to coach youngsters and Appleton is seen as a viable option. The former Brentford manager, who has been at Glasgow Rangers and Nottingham Forest since leaving Griffin Park, also has a proven record in terms of developing young players. Has previously been only on the fringes of QPR’s radar when new managers have been sought. The former QPR favourite was seen as a strong contender by Rangers – whether Ferdinand or the owners made the appointment – but the idea seems to have lost some momentum. As well as ticking similar boxes to Holloway, his experience working with younger players on a tight budget at Wycombe means he is of interest to the Rangers hierarchy beyond any sentimental reasons for bring him back to Loftus Road. However, Wycombe are currently on a terrible run, having lost seven and drawn three of their past 10 matches – dreadful timing for Ainsworth, who a few weeks ago was being spoken about behind the scenes at the club as a very strong possibility as McClaren’s eventual replacement. For several years the overwhelming choice among various figures close to the club, Jackett missed out when Hasselbaink was chosen ahead of him and he then took over at Rotherham just before Hasselbaink was sacked – had he not done so, he would have been a shoo-in for the job at QPR, where he was previously assistant manager. A proven operator used to getting results on a limited budget, which he is now doing at Portsmouth, he should arguably have been given the QPR job long ago. But has his time passed? He was previously wanted by some in and around the club in order to impose standards and bring a sense of identity back – which would partly have come with his likely appointment of ex-Rangers men to backroom roles. But to a large extent that necessary stage was achieved by Holloway. Now the main remit is to develop youngsters and a likeable style of play, which is perhaps not Jackett’s forte. There is also the small matter of him being involved in a promotion battle at Pompey. So once again, the timing isn’t right – certainly not unless Rangers wait until the end of the season. Admired by QPR officials, but the Aberdeen boss was out of reach prior to McClaren’s appointment, with several managers believing last summer that Rangers’ financial position meant more attractive jobs were likely to come their way if they sat tight. That financial position hasn’t changed and therefore attracting someone like McInnes – who has had to rebuild his reputation since a difficult spell at Bristol City, where all was not well behind the scenes – would not be easy. Neither would agreeing a compensation package with Aberdeen. Among out-of-work managers vying for a return to the Championship. Won promotion with Derby County. Not currently regarded as a contender and his time at the helm could be very short indeed. But if that turns out not to be the case, Eustace cannot be entirely ruled out, simply on the basis that many managers have ended up in the job after winning matches while in caretaker charge. Rangers want a quick appointment though. I would like someone like Carlos Carvalhal, knows the league and got Sheffield Wednesday to the playoffs. what about the .Cowley brothers at Lincoln for the Rangers job. Look what they have built at Lincoln with young hungry players. Exactly Roland, NO prima donna’s – weve had plenty of those in the past. Eh ‘Arry, Hughes & co? Tim Sherwood is used to “big time” players with big wages and even bigger attitudes. What we need is someone like Mark Warburton, Gareth Ainsworth or Gary Rowett. Maybe none of those 3 but what about David Wagner, fans favourite Neil Warnock, maybe bring Ollie back for “third time lucky” (he has not ruled that possibility out) or a manager doing well in lower leagues who have had to work within tight financial constraints,such as Mick Harford (Luton), Kenny Jacket (Portsmouth), Danny Cowley (Lincoln), Daniel Standel (Barnsley), Paul Tisdale (M K Dons),David Flitcroft (Mansfield) or Justin Edinburgh (Leyton Orient)?We need a good man manager not a “prima donna” manager – two completely different group of players.